Investors haven’t had much reason to buy the Pound (GBP) this week, which has left the Pound Sterling to New Zealand Dollar (GBP/NZD) exchange rate sliding despite mixed market demand for riskier trade-correlated currencies like the New Zealand Dollar (NZD). GBP/NZD may be in for another week of losses if upcoming New Zealand data impresses investors. GBP/NZD opened this week at the level of 1.9810 and despite holding away from Monday’s low of 1.9720 the pair has still weakened. GBP/NZD trended in the region of 1.9767 at the time of writing today. Tuesday saw a report emerge that the EU was preparing to offer the UK a customs union arrangement, but its impact on Sterling was limited due to concerns about domestic opposition to such an idea. 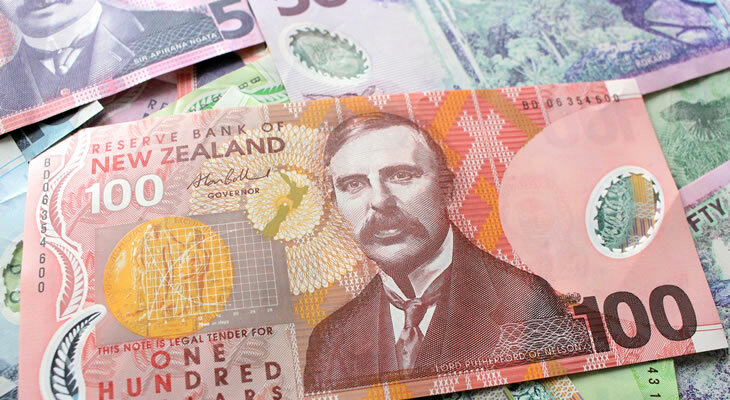 The New Zealand Dollar could extend its gains against the Pound before the end of the week if Thursday’s New Zealand trade data impresses investors. On Tuesday, reports emerged claiming that the EU was preparing to offer a UK-wide customs union in an effort to break the deadlock on Ireland border negotiations. However, while this gave the Pound a brief boost in demand, it was short-lived due to broad concerns that such a plan could still face considerable opposition domestically – among UK politicians. UK Prime Minister Theresa May is struggling to impress backbenchers within her own Conservative Party, and still has to content with opposition parties on top of that. Concerns persist that even if the UK and EU were to agree to a softer Brexit deal, it could still be blocked from UK law by UK MPs. The New Zealand Dollar’s strength versus the weak Pound has been limited in recent sessions, as investors are hesitant to buy relatively risky trade-correlated currencies amid lingering risk-aversion in markets. Risk-aversion has persisted in recent sessions due to political uncertainties in the UK and Italy, as well as concerns that the European Central Bank (ECB) may take a more dovish shift in this week’s policy decision. With risk-sentiment low, commodity and trade-correlated currencies like the New Zealand Dollar have seen mixed movement and have struggled to capitalise on rival weakness. However, risk-sentiment has also been supported slightly by some strong performance in Chinese markets and commodities like iron ore this week. The Pound to New Zealand Dollar (GBP/NZD) exchange rate is unlikely to advance on UK news in the coming sessions, unless there is a significant development in Brexit negotiations such as the agreement of a solid deal. Without a major optimistic Brexit development, the Pound outlook is unlikely to rise significantly any time soon. Sterling could still be in for weeks of poor performance. On the other hand, plenty of potential UK developments could knock GBP/NZD even lower before the end of the week. If there is any sign of a leadership challenge to UK Prime Minister Theresa May the Pound could slump as this could worsen the perceived likelihood of a worst-case scenario ‘no-deal Brexit’. It’s also possible that the Pound will simply remain limp and unappealing in the coming days and could be driven more by the strength of the New Zealand Dollar and risk-sentiment. Thursday will see the publication of New Zealand’s September trade balance results, which could give investors a better idea of how New Zealand’s economy is weathering US-China trade war fears. If they impress investors, the Pound to New Zealand Dollar (GBP/NZD) exchange rate could be sold further and see a third consecutive week of losses. Next ArticlePound Sterling to South African Rand Forecast: Will October Budget Cause GBP/ZAR Exchange Rate Rise?